Pardee Butler writes Kansas Governor St. John to explain the change of plans for the Governor's speech in Farmington, Kansas. 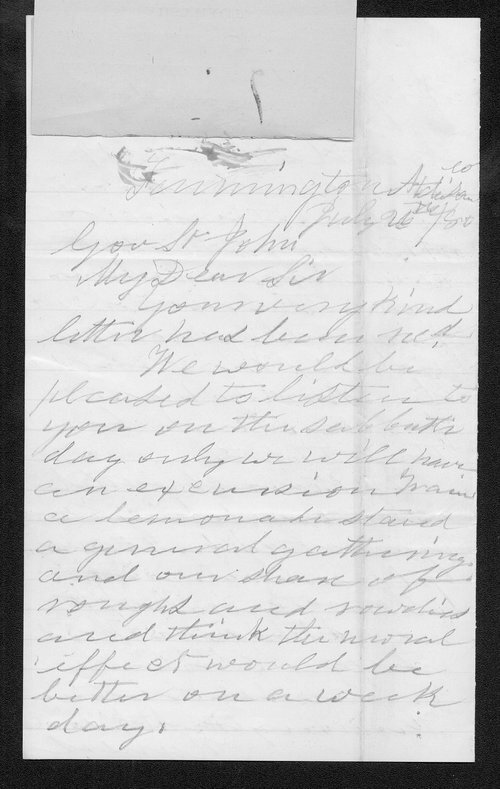 There will be a meeting in Atchison on August 31, 1880 to make arrangements for St. John's proposed speech. He also writes of the Governor's "influential" enemy, John A. Martin.